He is five feet ten inches and weighs 130 pounds. He has a girl-like face, with long eyelashes and smooth cheeks. His hair is such a dark shade of brown that people think that it's black, and he has a slight tan. Under his left eye is a light brown birthmark. He is never seen without his headphones or white beanie. Normally he wears baggy jeans and a white shirt, usually with a fur lined tan jacket over it. He is also never seen without gloves on. His eyes are a bright blue color. When he transforms, his hair becomes black with long strands of silver hair. His hair sticks up in the back while his bangs go past his shoulders. He wears a sleeveless black sweater and black jeans with a thick belt holding them up. 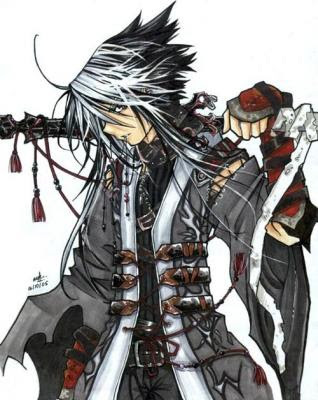 He wears a torn samurai jacket with an intricate design and black armored boots. Sora wears red gloves that stretch up to his elbows that have black wrappings on it. He carries around an intricate sword, usually on his shoulder. He gets taller and heavier, about six feet and 170 pounds. Personality: As Sora, he is quiet, shy, and antisocial. He will come up with an excuse to not go to a social event, and is usually found alone listening to music or reading a book. He is a compulsive liar, and almost no one can figure out if he's lying, and if they do, when. He doesn't like to make friends due to his secrets, and because he moves around often. He doesn't really have a love life, and prefers not to have one. However, people are normally attracted to him, much to his dismay. As Ryuu, He is confident, serious, and powerful. He could make people bow before him with a word, literally. He has connections, and is found fighting or strengthening bonds. He is cool headed, but arrogant from time to time. He is the type of person found leading a group. He is a successful flirt, but has never really dated anyone. Like Sora, people are attracted to him. Background: The Moto family is an ancient family that goes back to feudal Japan. It dwells in the dark history of the world that people don't see, where demons and magic exist. For 2000 years, it has held the title of Demon King. In the Moto family, there is a dark power that is reborn in every head of the family. Ryuu, a powerful dragon that the head of the Moto family has the power to transform into. Sora, the most recent head, has known about this, but just recently discovered he had it. He was sent to America for the next Demon King Tourney. Sora lives by himself due to his sister's death and his parents refusal to come with him. He has moved around, but no one knows why. As far as anyone knows, he hasn't dated a single person. He constantly gets money from Japan, but rarely uses it. 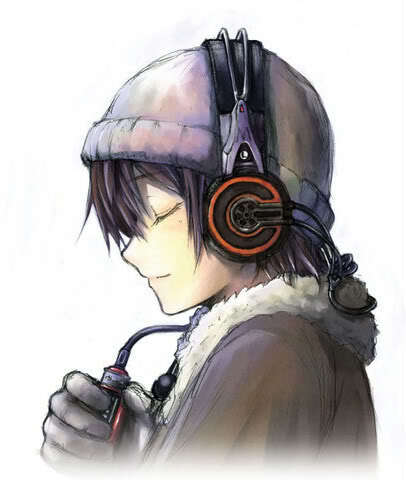 Fears/Insecurities: He can't be calm without his headphones.